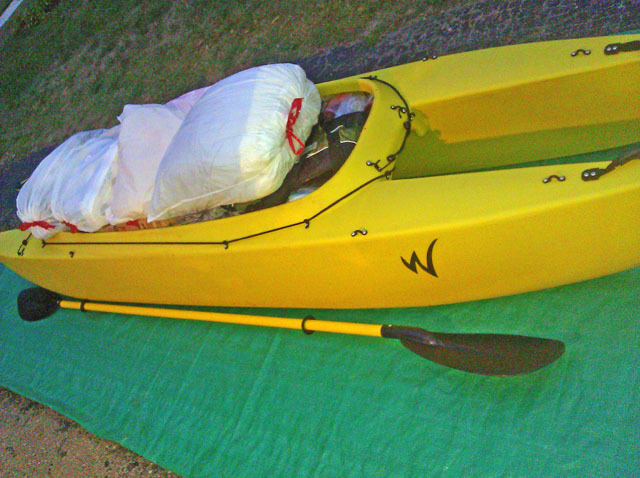 For their size, Wavewalk kayaks are roomier, and offer much bigger storage space than other kayaks. The Wavewalk S4 has the biggest storage space of all kayaks: 260 gallons (34.7 cubic feet). 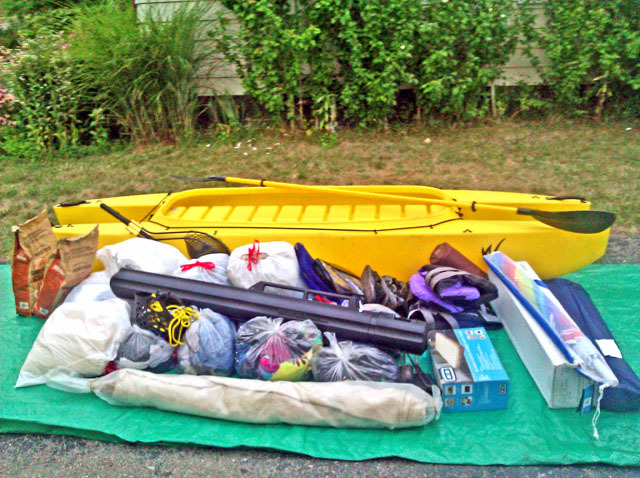 This is many times more storage than any sit-in or SOT kayak. How much camping gear can you store on board the Wavewalk 700? 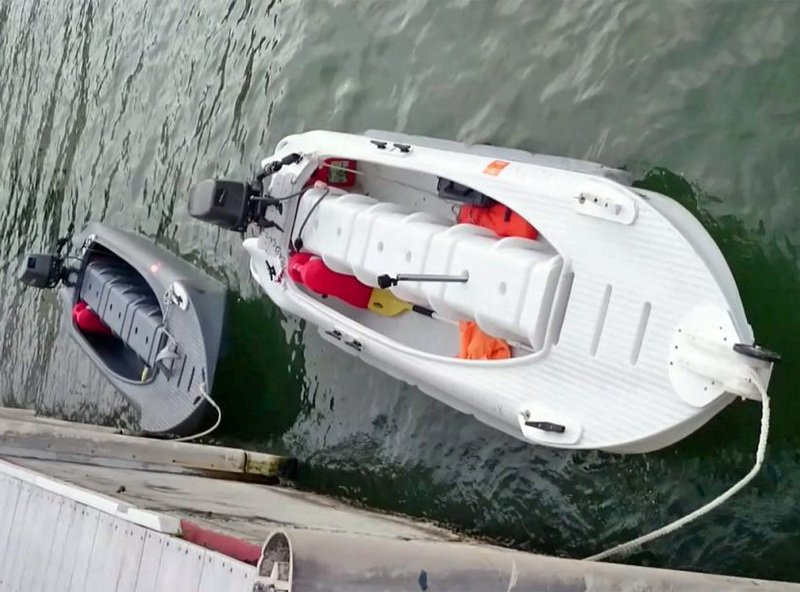 The answer is yes – It all fits inside the boat’s hulls. No need to attach large size bags on top. How much gear can you store in a Wavewalk® 500? 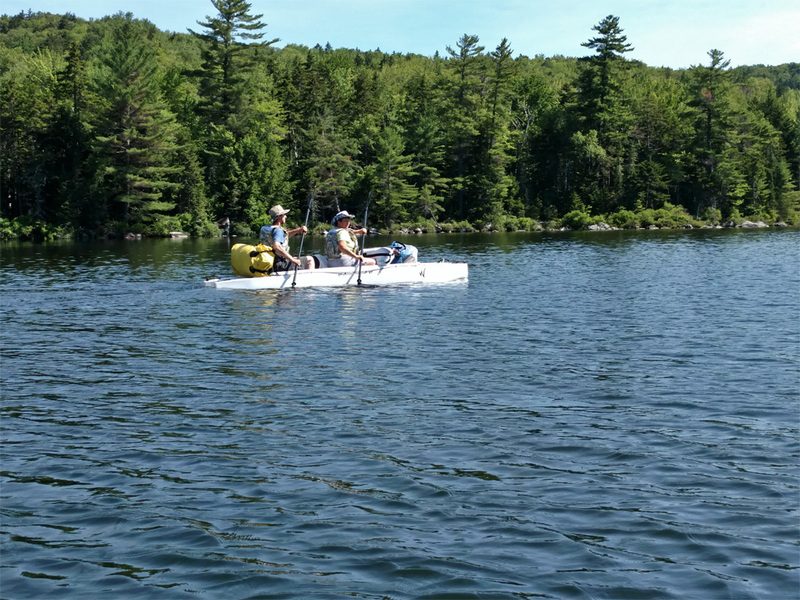 Thom and Julie Martin from Michigan love to go on long camping and fishing trips, and they always take their Wavewalk kayaks with them. 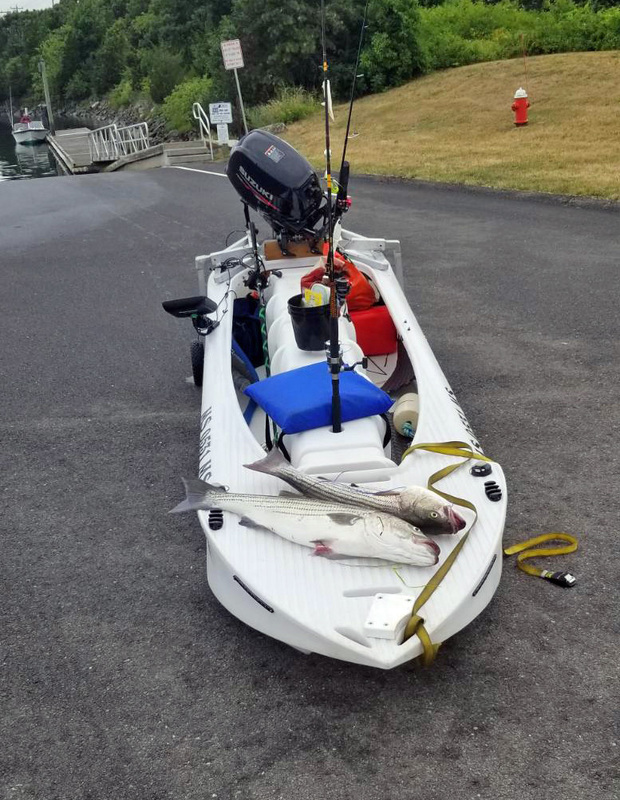 They wanted to check how much camping and fishing gear they could fit in a W kayak, and they documented their findings. -“Plenty! This is clothing and linens for the both of us for two weeks, charcoal, chairs, umbrella, hammock, personal flotation devices, snorkel masks with flippers, and of course the fishing rods!